Evangelism is often a taxing calling. Where can we turn to for Revitalisation as leaders? Keith Jobberns – our National Director shares why ACTS 17 continues to inspire him. This is a widespread trend – modern shopping centers marketing themselves as ‘marketplaces’. Back in the first century marketplaces fulfilled these meet, shop and community functions BUT they were so much more. They were the places of ideas. Places where big questions were asked and debated. The marketplace was an unpredictable and unsanitized gathering place. I had the privilege last year of standing on Mars Hill looking down over the Athenian marketplace of Pauls’ time. Overshadowing Mars Hills is the architectural grandeur of the Parthenon. This is the scene of Paul’s ministry in Athens as recorded by Luke in Acts 17. A plaque of the Acts 17 passage is now attached to a rock face at the entrance to the area. 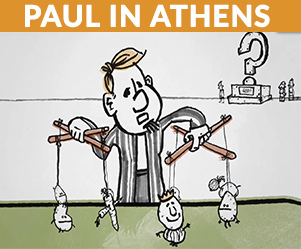 What stands out to me is Paul’s confidence in the Gospel in engaging with the religious plurality of the Athenian world. His confidence in the Gospel no doubt grows out of his transformative experience of faith in Jesus. It is a salutary reminder to reassess our confidence in sharing the good news of Jesus in our contemporary scene. How is my connection to Jesus? Am I giving time to nurturing my experience of Jesus? The other sticking feature for me is Paul’s competence in sharing the good news of Jesus in a variety of different contexts. Paul took the context of the people he was engaging with very seriously. He sought to find appropriate bridges to connect with the worldview of his audiences. 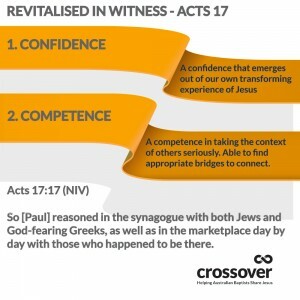 In Luke’s abbreviated record of Paul’s ministry in Athens, he highlights his engagement with the Jewish community in the synagogue, the commercial traders in the marketplace and the Epicurean and Stoic philosophers of the Areopagus. I am challenged to think how I engage intentionally and contextually with a similar cross-section of people in my world. Believing Jesus is the answer, that’s the issue of confidence. How might I engage in a helpful way – that’s the issue of competence. In conclusion, I ask what might my confident and competent engagement look like with 3 groups in my “marketplace”? A. The religious people in my world. Most communities in Australia today present people from all of the worlds religions. 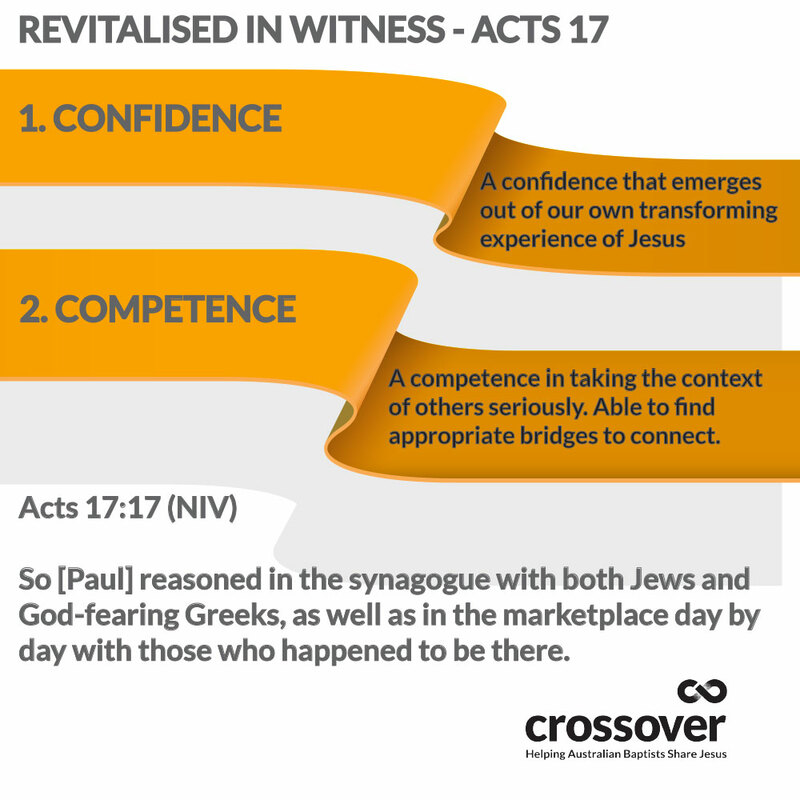 The mission field has come to us and the challenge is how might I – how might you take an ACTS 17 approach to these seekers in our midst. B. The local commercial community. What bridges am I building with my local business owners – be it informally or via membership of Rotary or the like? C. The thought leaders. How can I connect with and influence in a helpful way local politicians, local radio and local newspaper journalists and bloggers? 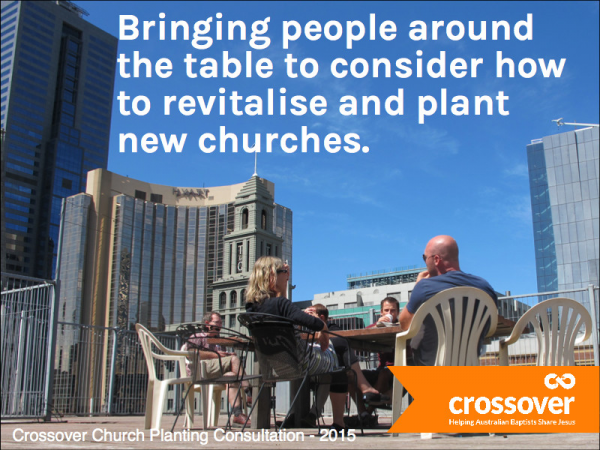 For the last 3 decades, Crossover has been a catalyst and resource support to Australian Baptist churches. In 2015 you will notice a new look arising out of our mission. Our story: The Baptist story in Australia and overseas for creative witness in many contexts is a rich one. We walk in that tradition and trace our inspiration to witness with creativity back to the early church, the way of Jesus and the ways of our Creator demonstrated in the Scriptures. 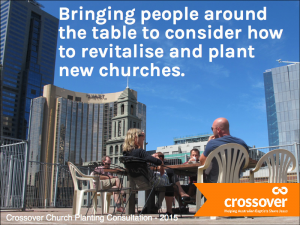 Positive Progress: We have seen real progress across Australia in fostering evangelism that takes specific context seriously. As a result of Baptists witnessing creatively the Baptist movement is growing. So Much More: As Australian Baptists we have always been a risk-taking movement. We innovate in sharing Jesus – we dream dreams of what could be as whole communities understand the gospel of grace and have the opportunity to respond. 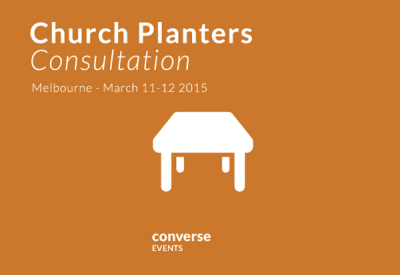 We believe God is calling us to reach even higher in helping missional and creative witness. Moving forward Crossover wants to continue the strong bonds it has with churches across our movement and reach out to those who don’t know too much about us. When we collaborate and share resources as a movement we are more potent in our evangelism and mission. 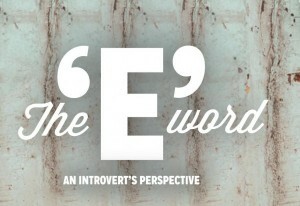 Evangelism for Introverts. 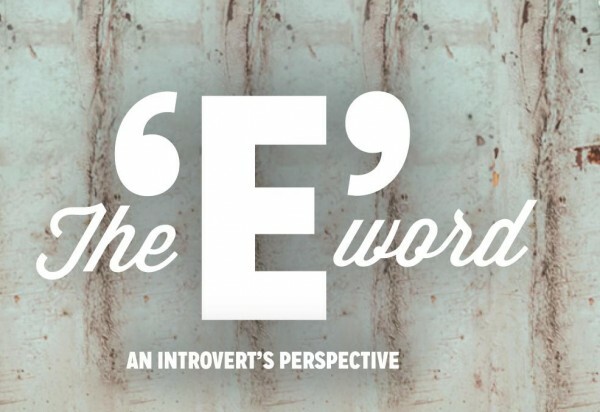 This year, how will you encourage and mobilise those members of your congregation who feel something like the way TJ did when the “E” word is mentioned? Maybe not everyone in your congregation who is shy to share their faith is ill-equipped or lacking excitement over faith. Perhaps this is how you feel? To view the full issue 24 of Resonate Magazine you can view online through Global InterAction here.